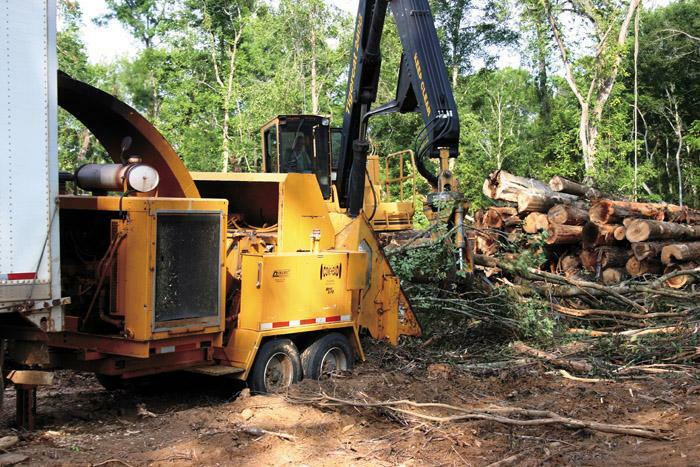 Southern Loggin’ Times’s August issue spotlights Alabama’s 2008 Logger of the Year, Ricky Carnes, who is already raising the bar for logging in the 21st century. Also featured are La.’s Winn Forest Products, which was recently purchased by veteran loggers Mickey Hawkins and Travis Taylor, and SC’s Leon Durham Logging, where the Durham family is eagerly stepping up to keep the family business, which has survived four generations and nearly 100 years of service, alive. 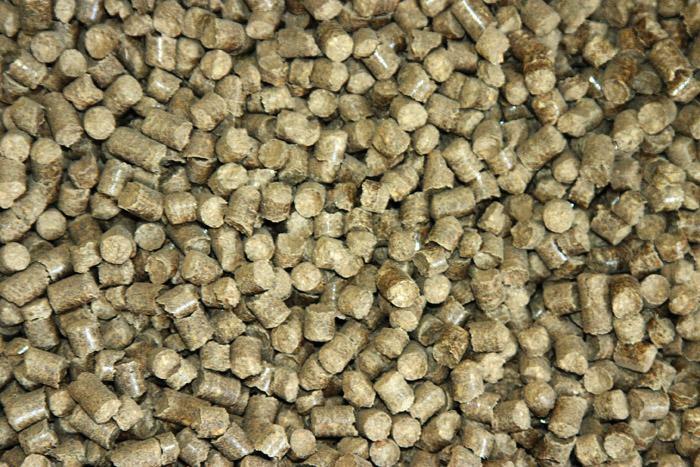 Ga.’s Fram Renewable Fuels LLC is highlighted for having its first pellet plant go online in south Georgia with the export market as its target. The Southern Stumpin’ section provides a biomass update. 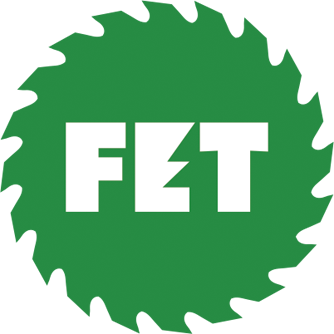 The promise of biomass, plant-based materials used to make alternative fuels, is the biggest news to come down the pipeline for the forest industry in some time. While turning biomass into various energy sources is far from a new technology, modern processes seek to help create widely available energy sources from such renewable sources, unlike fossil fuels. This could very well be a case of loggers to the rescue. Winn Forest Products, a chipping outfit, has been in operation for about 20 years, but was recently purchased by Mickey Hawkins and Travis Taylor. 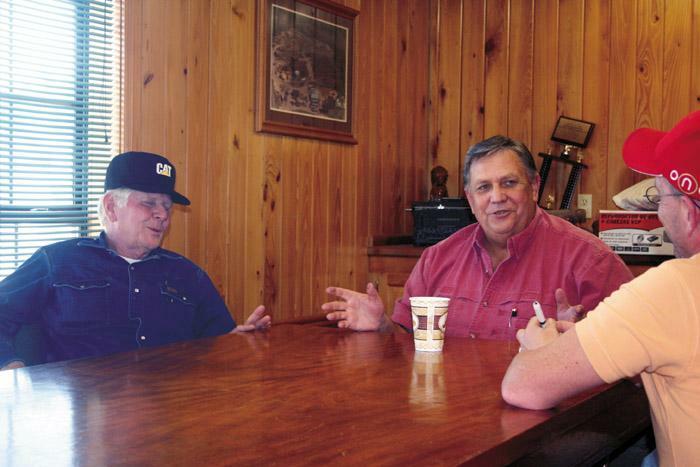 Both men are highly influential and well-respected members of the southern logging community, active in Louisiana’s industry for the past 40 years—Taylor started in 1968 and Hawkins in 1971. Four generations of Durhams have worked the forests of northwest South Carolina for nearly 100 years. 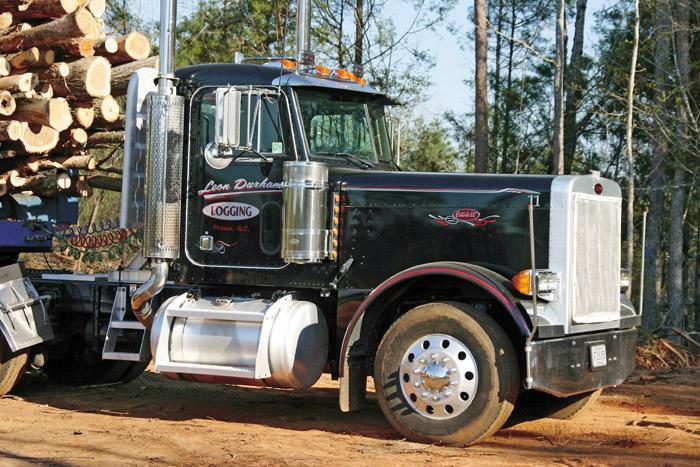 Currently, Leon Durham represents the family’s second generation in logging. At 69, he’s witnessed sweeping changes to the industry, from the advent of logging machines through today’s increasingly tougher market, which have forced many loggers out of business. Renewable resource energy is a hot topic across several industries in this country, with fuels made from renewable resources such as corn and other agricultural products seemingly being at the forefront of this movement, or at least getting the most media attention. On May 26-29 John Deere held an international press event for its new E series of wheel-type cut-to-length machines in Sweden and Finland. Forty forest industry journalists from 13 countries attended. 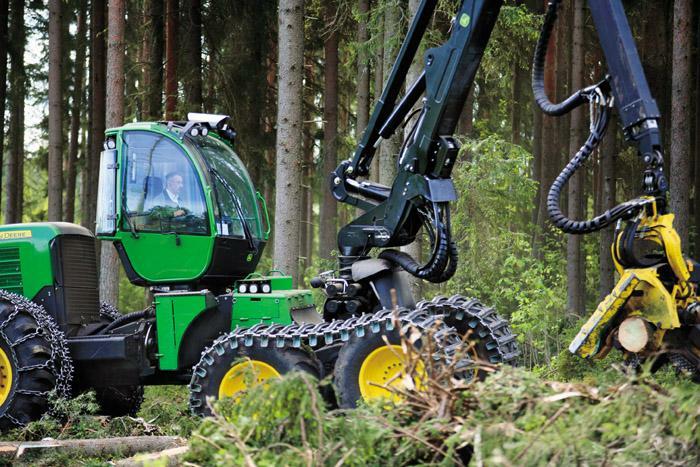 Timo Salo­maa, Deere Forestry Communications Manager for Europe and Russia, and Dieter Reinish, Communications Specialist for John Deere For­estry AB in Sweden, led the festivities. 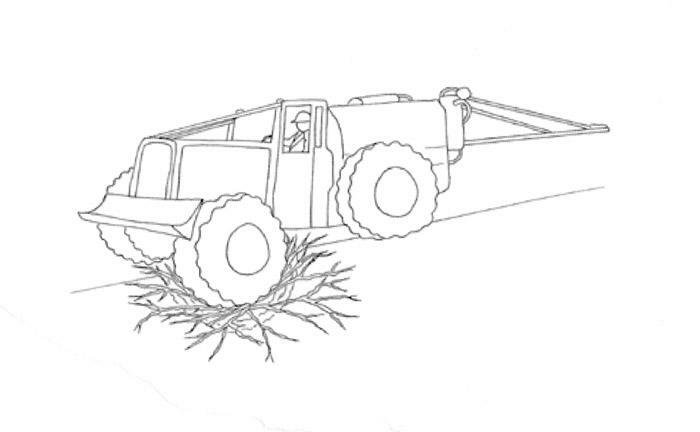 BACKGROUND: On a clear, hot summer day in the South, a skidder modified for chemical spraying in site prep operations was performing an herbicide application in a three-year-old pine plantation.